We manufacture and supply Class A Galvanised or with PVC coating, hexagonal woven wire mesh gabion materials. The woven mesh has a high tensile strength also having a high compressive strength when filled with suitable un-weathered rock. Our materials are quality assured, they are made to the SANS 1580 standards and are used in a very wide range of applications. 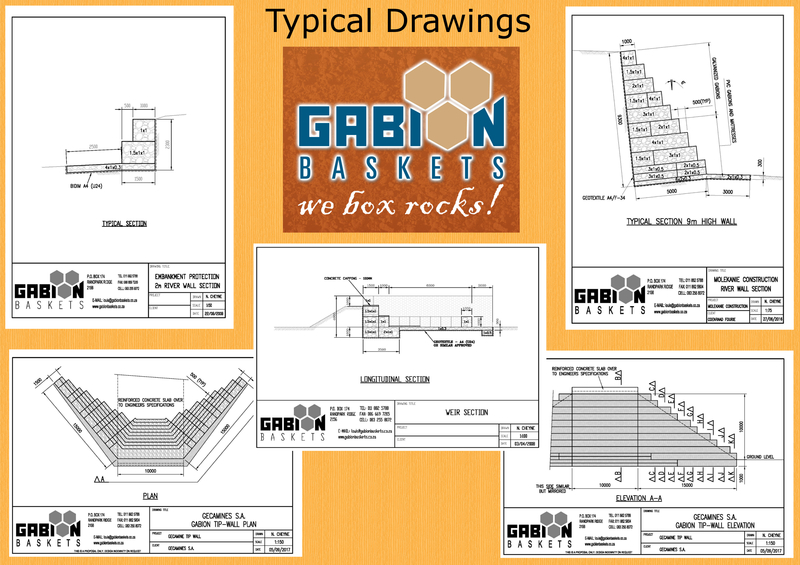 Gabions are supplied in a wide range of sizes, commonly measured firstly in length x width x height of basket (all measurements in metres). Standard sized baskets are available, listed on our website, other sizes can sometimes be made available depending on the quantity required and also bearing in mind that they take longer to manufacture than standard sized units. 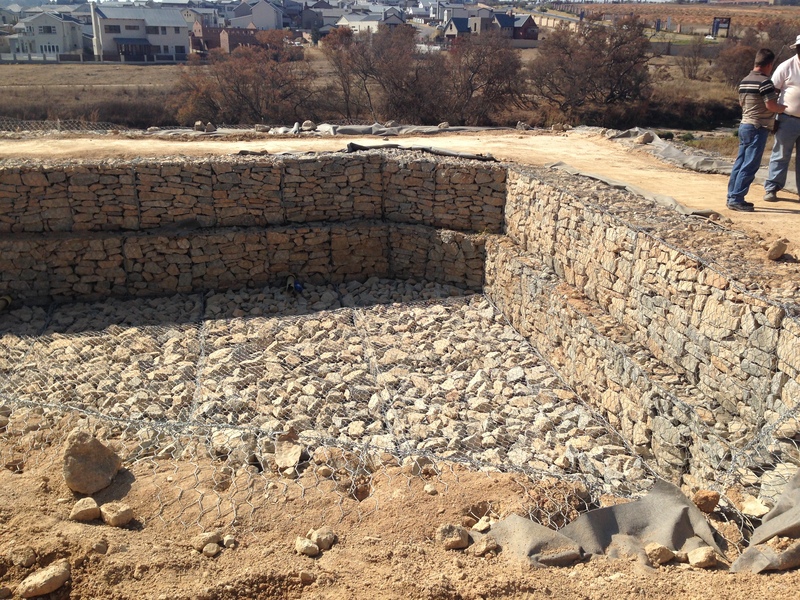 Gabions have been around for over a hundred years and have a wide range of applications and new ones are continually being found. We have listed below the most common applications to date.